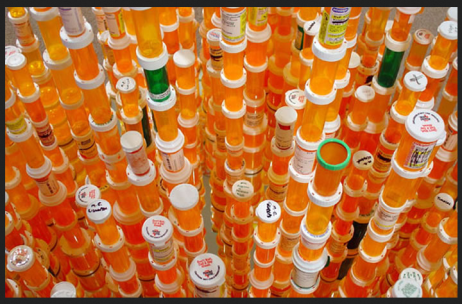 Not every patient gets their medication in a pill bottle. In other parts of the world these patients are handed their pills and must use whatever they have to keep the medication safe. In three easy steps you can make a difference for those patients. Step 1: Take your meds and when you finish the bottle, don’t throw it away! This includes bottles you might receive over the counter like for Advil, Motrin, vitamin bottles, supplements – as long as the bottles aren’t large, send them on! (Large bottles just cost too much to ship). Step 2: Remove the label. I find it’s easiest just to peel them off, takes a few seconds, but you can also save up until you have a pile of the bottles and dump them into a bowl of boiling hot water. Step 3: Snail Mail Send them off! I used a large flat manila envelope, it’s cheap & easy to mail. Address it to: The Malawi Project, Inc. Bonus Benefit: I saw someone online arguing that we shouldn’t send them to Malawi because they won’t be recycled when they are finished being used. I thought this question was silly since they are so desperately needed there but I like the answer all the same: Nothing goes to waste in Malawi. Your medicine bottle, when it’s empty, will be used in 100 other ways. Imagine you have very little and then think of all the ways a bottle with a sealed lid could be helpful.